Syfy Launches Expanse Virtual Reality App With Google Cardboard! 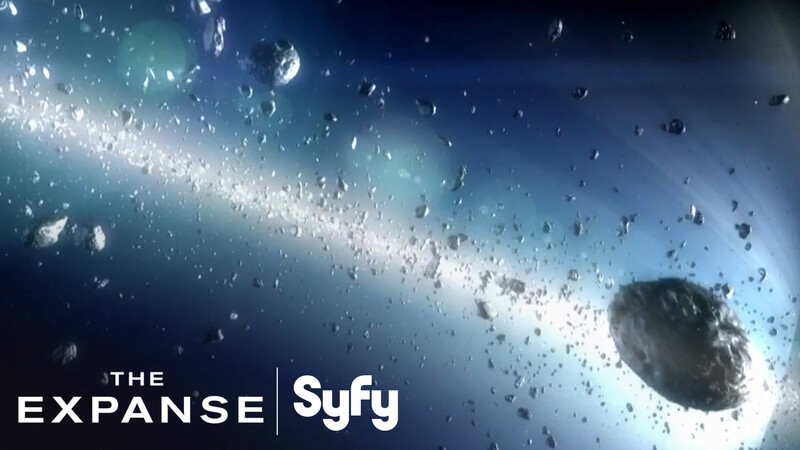 Syfy has announced a virtual reality app for its new series The Expanse utilizing Google Cardboard to allow viwers to immerse themselves in the universe of the show. 13,000 Cardboard Readers will be given away at Comic-Con in Syfy’s The Expanse Cafe. Follow the jump details. San Diego, CA – July 9, 2015 –Syfy has announced the launch of a virtual reality app for The Expanse, the network’s highly-anticipated drama series from Alcon TV premiering in December 2015. Utilizing Google Cardboard, the app immerses viewers into the vast world of The Expanse, giving them the opportunity to enter into settings from the show and experience them in virtual reality. IM360 is a joint venture announced in April 2015 between Digital Domain Holdings Limited and Immersive Media. The partnership unites Digital Domain, an Academy Award®-winning digital production studio and Immersive Media, the leading provider of 360° immersive technology. IM360 creates cutting-edge interactive experiences including video content, services and client-side applications. Collectively, the studios aim to further the role of immersive video and virtual reality programming across advertising, television, film and gaming. NBCUniversal Media Labs, a division of NBCUniversal Technology, is dedicated to incubating and driving emerging technology led innovations for businesses across the company’s portfolio of TV, film, and theme parks. It has strategic partnerships with leading academic research groups, start-up companies, and the global venture capital community to accelerate technology innovations that help develop richer consumer experiences and new business models for the company. Media Labs is staffed with top technology professionals with deep expertise in emerging technologies such as wearables, virtual and augmented reality, sensor networks as well as in content, mobility, video, networking, and virtualization. Previous PostGrease: Live Finds It’s Danny Zuko & Kenickie!Next PostMargo Martindale Joins The Good Wife’s Seventh Season!